Regional Directorates for Environmental Protection participate in strategic environmental assessments; they conduct environmental impact assessments or participate in such assessments, they create and liquidate forms of protection of environment pursuant to the nature conservation act dated 16 April 2004; they manage the Natura 2000 sites and other forms of nature conservation, pursuant to and within the scope set forth in The Nature Conservation Act dated 16 April 2004; they issue decisions pursuant to The Nature Conservation Act dated 16 April 2004 on; thee conduct proceedings and execute other tasks set forth in the act dated 13 April 2007 on prevention and remedying of environmental damage; they provide data to the environmental impact assessment and strategic environmental assessment databases, including data on documentation prepared under such proceedings; they effect tasks related with the participation of the organisation in the Eco-Management and Audit Scheme (EMAS); they cooperate with units of territorial self-government in matters regarding EIA and nature conservation; they cooperate with non-governmental ecological organisations. In the years 2009 – 2013, they have executed the project named “Development of conservation measures plans for Natura 2000 sites in Poland”, co-financed from the European Regional Development Fund within the Operational Programme Infrastructure and Environment. 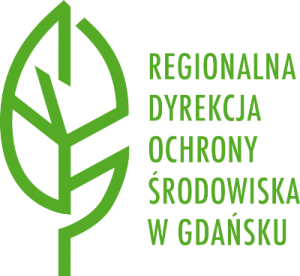 Regional Directorate for Environmental Protection (formerly in the structure of the Voivodeship Office in Gdańsk) was a partner of the project “Conservation of Baltic raised bogs in Pomerania, Poland”, coordinated by the Naturalists’ Club and co-financed by Life. Employees of the Directorate are persons who are particularly committed to actions for the benefit of nature conservation, with special emphasis to fen ecosystems.